Bill Windsor is still alive and exposing corruption at 5:30 pm Pacific Time on January 30, 2015 -- Day 33 as a "wanted" man. ...is a friend with a washer and dryer that doesn't require quarters. Laundry day. I thought I lost my dirty clothes, but I found them in the Rolls. 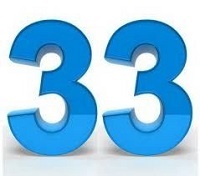 33 days on the run as the World’s Most Notorious Tweeter. I had another really productive day of work on Tweet-Gate. I will soon publish my Appellant's Brief for the Texas Tenth Court of Appeals regarding my illegal 53 days as a political prisoner. It should almost all be old news...just better organized and a little more law. This is Judge John W. Larson of the Fourth Judicial District Court in Missoula County Montana. 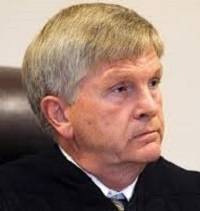 Judge John W. Larson of Missoula Montana is a corrupt judge who hates Tweeters and emailers, and people who use the names of friends he is "in bed" with. Judge John W. Larson went to Creighton University in Omaha Nebraska. I don't believe I've ever really heard of Creighton. Judge John W. Larson's bio says he got his law degree from the University of Puget Sound. It must have been a small class; the University of Puget Sound only has 2,400 students. I've never heard of it. The University of Puget Sound doesn't even make the list of the 146 best law schools in America. According to Wikipedia, there are 203 law schools in the United States, and guess what? The University of Puget Sound isn't even on the list! Well, it seems the law school was sold to Seattle University back in the early 90s. I don't think that counts. So, Judge John W, Larson's law school doesn't exist. That's how I see it. The judge who is trying to send me to prison for life for Tweeting and Emailing may not have even gone to law school because the law school he claims doesn't exist. You don't see many men with bangs these days. I looked back to 2011. Four years ago today, I wrote: "One aspect of our proposed plan for dealing with government and judicial corruption is to ask all elected and appointed government officials and all political candidates to sign an Honesty Contract with the Citizens of the United States of America. This page will list all government officials who sign the Honesty Contract. Reuben Torres, Board of Freeholders candidate for Essex County New Jersey, is the first candidate for elected office in the United States to execute an Honesty Contract with the Citizens of the United States. Kristi Devine, candidate for Selectman in West Newbury, Massachusetts, is the second candidate to sign. We want all of our supporters to vote only for candidates who have signed the Contract. Download a copy of the Contract here." That was about it. A great idea (I think), but no one motivated. When I started working on trying to expose government corruption, judicial corruption, and law enforcement corruption, I just didn't realize how uninterested our fellow Americans are in their rights. And I certainly underestimated the lengths to which corrupt officials would go to try to stop us. For those who don’t know, the short story is this: Bill Windsor set out to film a movie exposing government, judicial, and law enforcement corruption. He traveled to every state (except Alaska), and he filmed over 750 stories of corruption and has thousands more who wanted to be filmed. Evil people, some working for various government entities, set out to destroy Bill Windsor and the movie, Lawless America. Bill Windsor has been defamed online in the largest case of defamation in U.S. history. His life has been threatened many times. A UNIVERSITY OF MONTANA EMPLOYEE attempted to murder him. He was put into the Ellis County Texas Jail illegally for 53 days as a political prisoner. The State of Montana has filed five criminal charges against William M. Windsor for sending a Tweet, publishing the UNIVERSITY OF MONTANA EMPLOYEE‘s name (the would-be killer) four times, sending a legal notice email to a University of Montana attorney, and filming the movie and the pilot for a TV show that will expose Montana as the most corrupt state in the country. 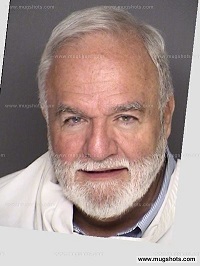 Now Bill Windsor is wanted for these dastardly crimes, and he is hiding out in exotic places like Tahiti and Bora Bora. All of that was true except the last four words. And in a recent development, “law enforcement” had LawlessAmerica.com removed from the Internet. This website contains over 1,400 articles exposing corruption. Bill Windsor worked wth a friendly offshore hosting company to return the website to the Internet outside the clutches of American evildoers.